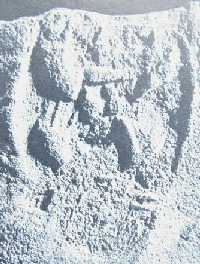 None of the few known impressions of this type have clear inscriptions (mostly due to erosion--not necessarily due to seal design). 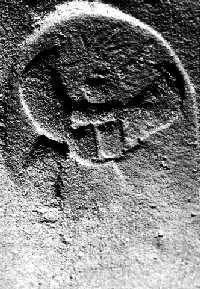 Most of these impressions are on pithos handles--not the typical ware associated with LMLK stamps. 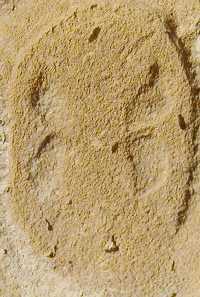 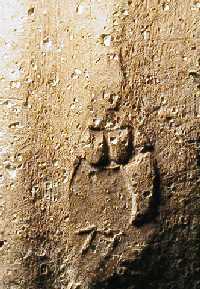 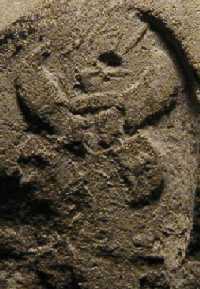 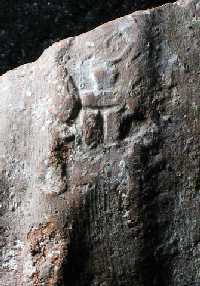 Another unique feature of this particular seal is that it may have been set in a ring or other decorated holder since some dots can be seen along the border of one of the impressions.